Have you ever tried staring at your paper for minutes with an empty mind? Have you ever feel like you don’t know what to write and where and how to start you first sentence? Writer’s block. Every writer struggles with it, and it is inevitable. We lose our inspiration and we don’t feel like writing at all. However, if you are working in an SEO company, it is a must for you to come up with fresh ideas for your content. Not an easy task to do, right? As a content marketer, we want our writings to be perfect, but we also want the paper done as soon as possible. The undeniable truth is that writer’s block strikes any time of the day, causing us not to have any content output at all. Well, sometimes, you just need a little break from what you are doing and take the time to organize your thoughts and things around you. 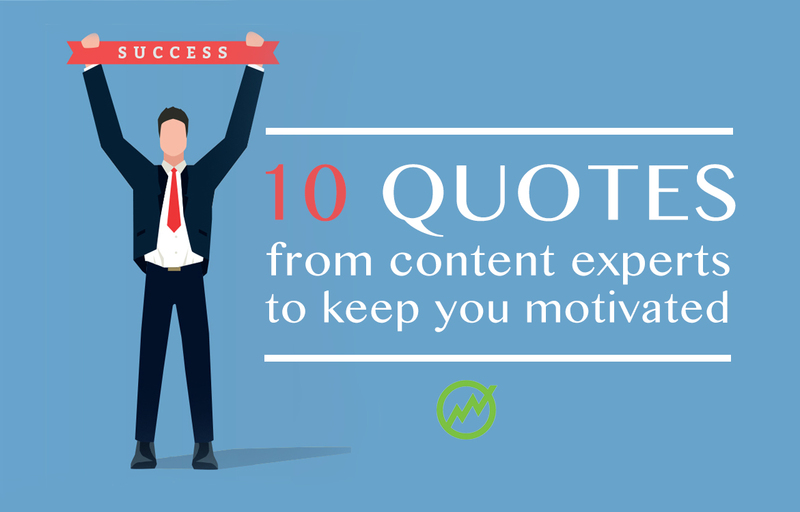 And since professional writing is as fiercely competitive as it is desired, a little bit of motivation from the content experts might inspire you to do more and be better than what you did before. Content marketers play a big role in other people’s lives. When people need to know something, they search for contents that can address concerns. We marketers provide these people some information about various topics. Without content marketers giving information, there might not be enough things to know and learn. One of the reasons why people try to search something on the web is because they want to know something. They don’t search a particular thing that they already know unless they want to verify the info that they already have. That is why, it is a must for us content marketers to make interesting and informative contents that can immediately grab the readers’ attention. Getting their attention is critical in our line of work. 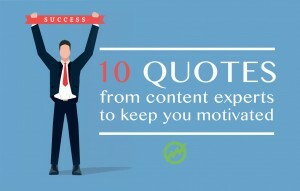 But without those catchy twists on our content while not deviating to our main goal which is to inform our audience, then it might be impossible for us to let them engage. Writing content is not just merely writing, we write for our readers. We want to make them feel that we, content marketers, contributed to their knowledge. That is, through writing and giving them the information that they need to know right when they need it. Isn’t it a great feeling knowing that we are a part of their growth? Content marketing is definitely not easy! If you are serious enough on making your readers feel that you are a part of their learning, then you also have to be serious in coming up with fresh and engaging topics for them. And yes, this is not easy, too! The struggle is real! Well, if you feel like you are struggling with keeping the fresh ideas flowing, why not take a little break, breathe some fresh air and of course, research! As a content marketer, if you are going to put yourself on your reader’s shoes, you definitely do not want to read crappy contents, right? Thus, it is important for us to know how to make our contents useful to them. For instance, we must be adept on knowing how our content can help them increase their learning and how they can apply it on their everyday lives. There are thousands to millions of answers people can get with just a single search. Naturally, they cannot read these answers one by one. Gather and select – that is one of the things people usually do to find the right and best answer to their questions. Creating a content that would be the best answer for your readers increases your credibility as a content marketer. Again, the purpose of creating content is readers’ consumption as they will be the one to receive and utilize the content. With this, your content should be written as if you are talking to them in person. Isn’t it great when a person seems to be directly talking to you? If your readers feel that they are out of the picture, they might feel that your content is not intended for them and they won’t read it. The number one reason why content marketers exist is to create good content for the readers. If we fail to meet their expectations in giving them what they need, we are only defeating our duty and responsibility. We cannot make good contents if we don’t know what kind of content our readers want to read, what kind of content that can best answer their concerns, or what types of contents can change their lives forever. Without listening to their needs, it might be hard to meet those expectations on our end. Our mentors, whose opinion we respect the most, usually tell us to think out of the box, think big or think beyond our imagination. Yep, that’s true. However, there are certain things that can be found in small things which we most likely to skip, thinking that these are just “small.” Such a small thing can be made into a bigger and more engaging idea for your content. Well, technically, you are also thinking out of the box hence you were able to notice the small details that others did not bother to look at at all. Living in this generation, it is impossible for the people not to rely on the web. Whenever they want to know something, the web is their best friend. Of course, as a marketer, it is our duty that we give the information that these people need. We are the one who can help them with whatever concerns that they have in life. There is the unyielding need for content. And in order for us to be part of their growth, we must give them the best content that they need now and what they might be needing in the future. Being a content marketer is not as easy as you might think it is. There are various things that must be taken into consideration before going public. Sometimes, we have to think twice or even thrice whether our target readers will going to read our content or not. If they aren’t reading it, then, as Dan Roth says, we might be doing it wrong.